There was a proposal last fall to demolish this small house on Durocher street in Milton Park (PMR). The detailed proposal can viewed here : pdf file. I have to go back there and see if it's still there. 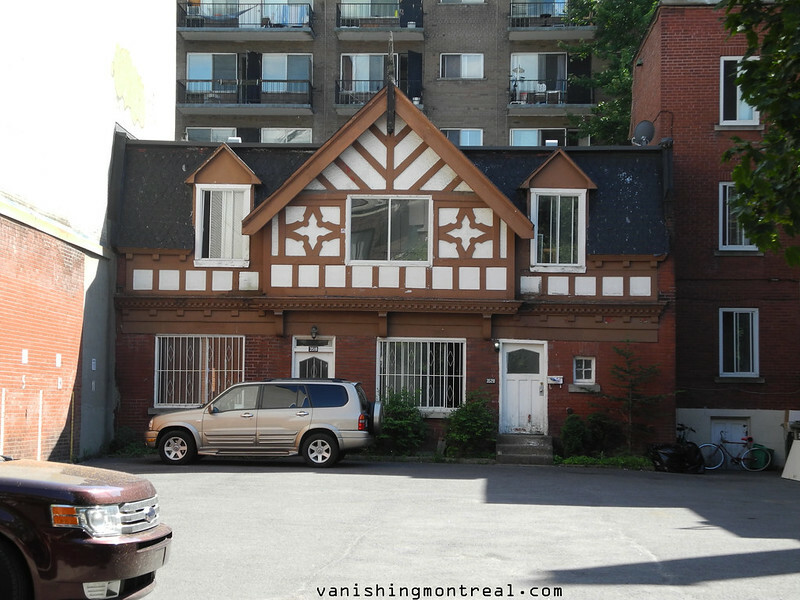 L'automne dernier une 'étude' été proposé pour démolir cette petite maison sur la rue Durocher à Milton Park (PMR). L'étude peut être visualisé ici: fichier pdf. Je dois y retourner et voir si elle est toujours là. What style do you even call this place? And the most important question: which half of the property gets that picture window in the middle? This 'house' used to be a stable back in the day and then a garage for a mansion that was demolished in the 1950s. This place is very old.